ACK! So SO SO many ARC's this year, I'm having the BEST TIME OF MY LIFE GOBBLING THEM ALL UP! 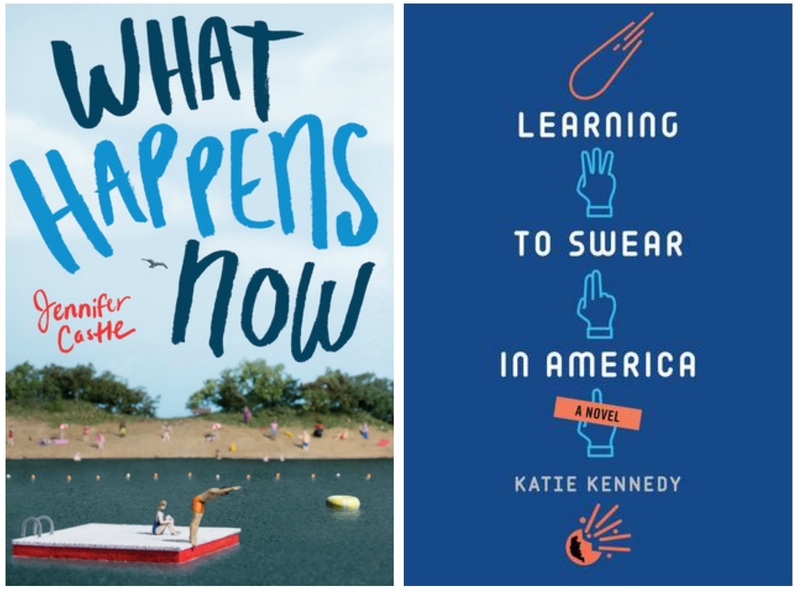 I hope you guys enjoyed my August Anticipated Reads, because here are a few overdue ARC reviews! I have a couple of authors coming in over the next two weeks, and I hope you love their books and enter the giveaways! 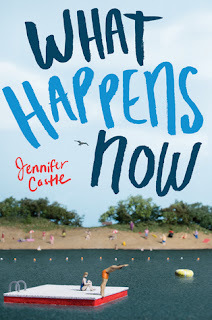 I have with me Jennifer Castle's What Happens Now (that I was supposed to read for the blog tour, but it just didn't get here to India in time. 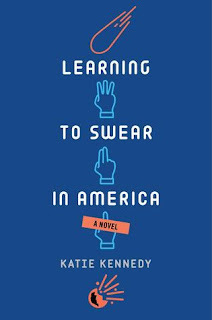 And Katie Kennedy's Learning to Swear In America, WHICH IS SUCH AN AWESOME PORTRAYAL OF AWKWARD PEOPLE AND End Of Wold emotions, I LOVED IT! I Got A Copy Through: Physical ARC via The Publisher! Blurb Description: "I know what it is to want something so badly, you feel like your cells aren’t properly bonded together without it. I also know what it’s like to get that something.And honestly, I’m still not sure which is worse..."
For Arianna Logan, the last two summers have consisted of two different celestial bodies; two different Camden Armstrongs’. During the first, he was someone who was out there living life, unattainable as he could be, and free to do all the things Ari herself never has the strength to do. It was love at first sight. During the second, Camden Armstrong became a human being, filled with flaws and insecurities and happy moments. During the second summer, Ari and Camden learn what it means to grow up, step up, stand up and fall in love. The real kind. I didn’t know what to expect from What Happens Now, because these days I don’t hold very high esteem for summer contemporaries as they don’t tend to surprise me. And yet, while the blurb promised demons and love, What Happens Now was SO much more. What does What Happens Now contain? 1. Friendship: In most contemporaries I value how much importance the FRIENDS are given, rather than the two lovebirds, for in real life, doesn’t EVERYONE let their best friends make their decisions for them and tell them every single detail in their lives? UM. YES. And so, What Happens Now had a WHOLE but-load of friends and their lives were always in the picture too, and it was AWESOME! 2. Love: I ADORED the three different love stories going on at the same time. The relationship that had started showing the strain of knowing each other too well, the relationship that was just starting out and everything was exhilarating and the third, where everything is just a confusion. Jennifer Castle managed to capture the three stages of relationships perfectly and I loved it! 3. Family: I LOVE ARI’S FAMILY. Especially Dani, her younger sister. And her stepfather, Richard. AND THE ART STORE, OMG. I WOULD KILL, QUITE LITERALLY, TO ACTUALLY OWN AN ART STORE. I loved that there was always some accountability standard that her family held her too, and that they were always there, WHICH IS HOW IT SHOULD BE. 4. Depression: I love how this was handled. How for the first time, depression didn’t lead to cutting and wanting to kill oneself, but that cutting was just a way to let the pain out. I’m so glad the topic wasn’t shied away from, and that it was really well written. 5. FANGIRLING! This was the thing I DID NOT SEE COMING! THERE WAS SO MUCH FANGIRLING AND COSPLAYING IN THIS BOOK, I LOVED IT. AAAAAH! All in all, a good but not a great book. Blurb Description: Brimming with humor and one-of-a-kind characters, this end-of-the world novel will grab hold of Andrew Smith and Rainbow Rowell fans. I attempted a read of this book a really long while ago, and there was this teaser in the beginning that seemed so awkward, it totally threw me off. 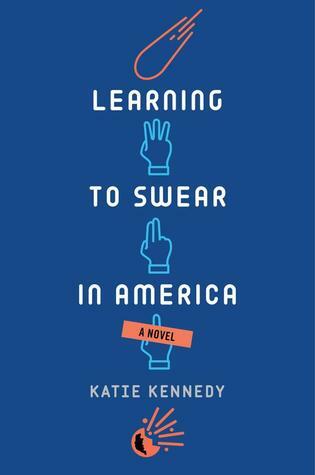 And so, I didn’t pick Learning to Swear in America back up for a while, but when I did, I instantly fell in love. 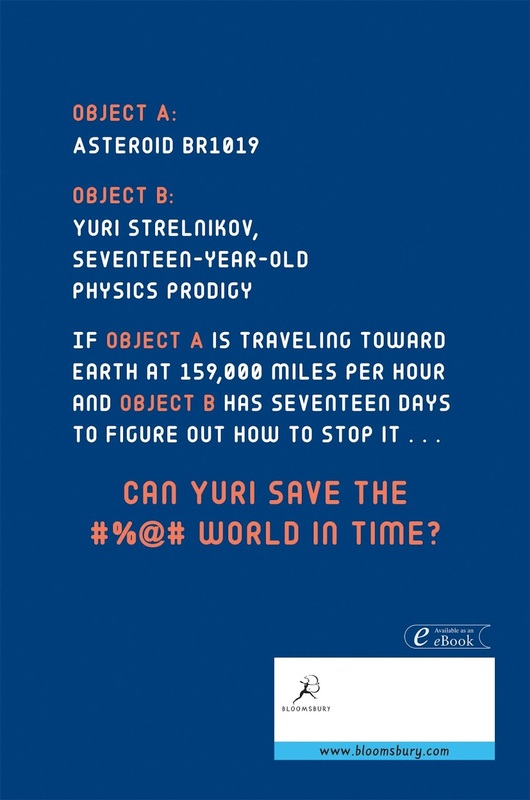 Yuri Strelnikov is just your not-so-average seventeen year old Russian physicist, with a PhD and work on antimatter – the one topic no other scientist will even discuss. No problem at all that I’m seventeen too, sitting in college and attempting to survive day by day, but seventeen year old Yuri has been formally requested by the US Government to help destroy the asteroid (not meteorite) BR1019 coming from space, and heading straight to California. When Yuri, looking for the weapon specs that he was denied for his calculations, gets caught in the NASA director’s office with information on US Weaponry, they know that there is no way that Yuri will be allowed to leave America. On a night that involved a bridge after Yuri hears this information, he runs into Dovie. With her bangs, hippie parents and brother on a wheelchair, she is the exact opposite of Yuri. Algebra and High School are her worst nightmares, and she’s all about living in the present. As the asteroid hurtles closer to Earth, Yuri finds himself more caught up in Dovie’s world, and even goes to high school. Gym, Band, Math, Art and all other things he’s never experienced before. It’s a whole new world, except for the potentially all-life-on-earth-destroying piece of space rock coming in at unimaginable speeds. And only Yuri can save the world. Can I just say how much I loved seeing high school from a genius’s perspective? Can I say how much I loved seeing America from a Russian’s perspective? Also, can I say HOW MUCH I loved watching a socially awkward boy manage to learn the VAST social customs and all about girls? There was something about this book – the raw, honest writing and the authenticity of all the feelings when the asteroid was about to hit – that just made it click for me. 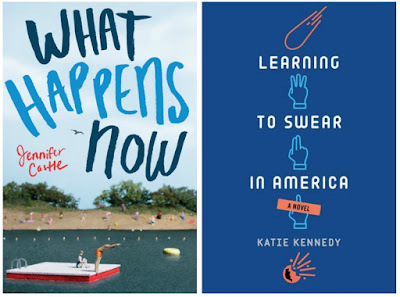 I can’t explain it, except if you’re into contemporary novels that might contain philosophical EoW questions and chemistry, Learning To Swear in America is THE PERFECT ONE for you to pick up! What was the last End Of World book you read? Do you think the End Of the World is coming? What was the last contemporary novel you read? Any EoW rcommendations? YAYYAYYYAY! I can't WAIT to chat with all of you lovelies!